The mainstream media is running feverish headlines about President Donald Trump’s supposed links — or lack thereof — with Russia, after the New York Times reported last Friday that the Federal Bureau of Investigation (FBI) had opened an investigation into whether Trump was, in fact, working for the Russians. The Times report indicated that the FBI had opened its investigation into Trump after he fired then-FBI director James Comey in May 2017. Democrats seized on that report as if it added weight to the ongoing conspiracy theory of “collusion” between the Russian government and Trump’s 2016 presidential campaign. Over the weekend, the Washington Post added fuel to the media fire by reporting that Trump “concealed” parts of his meetings with Russian President Vladimir Putin from other administration officials — which should not have been a surprise, given that the Post itself published leaked transcripts of Trump’s conversations early in his administration with the leaders of Mexico and Australia. But it is the report about the FBI that remains at the top of the headlines, with several mainstream media outlets reporting Trump’s denials of both reports as if they were somehow evasive, deficient, or suspiciously vociferous. What is particularly concerning is not the substance of the accusation about Trump — for which no evidence exists — but rather the fact that the FBI would react to the constitutional exercise of presidential duties by investigating the president, mere months after spying on Trump campaign associates, and excusing Hillary Clinton’s misdeeds. 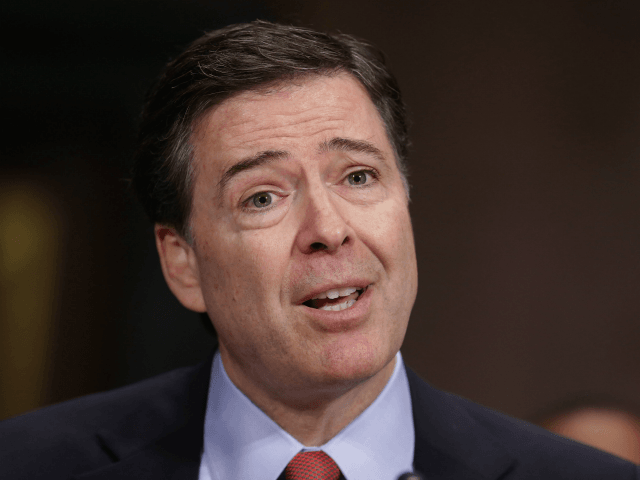 Comey has defended his exoneration of Clinton by claiming he was trying to prevent the politicization of the FBI. But he achieved the opposite, especially with his recent politicking. Former Arkansas Gov. Mike Huckabee said Monday the FBI’s leadership needed a “vacuum cleaner.” At this stage, that may be too little, too late. The FBI, as such, may never recover the public trust. The best solution may be to scrap the FBI and start fresh with a reorganized agency under a new name and with an improved commitment to neutrality and accountability.